Connect your smartphone with the DataPlug* and make your Volkswagen a connected car. The Volkswagen Connect app is easy to use. There are many different challenges available to fit your personal needs. How to get car information, logbook and further app features on your smartphone. Do you have questions in relation to the DataPlug or the app’s features? I am already registered, but VW Connect does not recognise my email address when I try to log in. If I try to register again, the system says that my email address is already registered. Why is that? This is generally caused by the autofill function on your smartphone. This function automatically fills in your address and inserts a blank space at the end of it. Because of this blank space, our server cannot recognise the email address that has already been registered. Please check that there is no blank space at the end of your email address and try again. \n\nIf the problem persists, please contact Volkswagen customer support or your Service Advisor at your chosen dealership. When driving, I always see a straight grey line and not the actual route that I have driven. Why is that? It may be that the GPS signal on your mobile phone is deactivated. Please first check that the GPS signal is activated on your smartphone and in the VW Connect app settings. Both signals must be activated in order to correctly display the route. The signal may also be affected in areas with weak reception such as underground car parks, resulting in an incorrect display. When the energy saving mode is activated, the transmission power of your GPS signal from your smartphone may be weakened, or the signal may be deactivated. In order to ensure that your route is plotted correctly, please therefore use your smartphone as normal without the energy saving mode. If the problem persists, please contact Volkswagen customer support or your Service Advisor at your chosen dealership. My parking space is not displayed correctly/not displayed at all. The GPS signal on your smartphone and/or in the VW Connect app settings is deactivated. Both signals must be activated. The signal may also be affected in areas with weak reception such as underground car parks, causing the parking space to be displayed incorrectly. The Bluetooth signal on your smartphone is not activated. The VW Connect app receives the signal that the vehicle is parked using Bluetooth from the DataPlug and saves the GPS data as a determined location. Without a connection, the parking space cannot be displayed. When I look for an authorised Volkswagen Service Partner, my list of results is always blank. Searching by postcode/place name: if no authorised Volkswagen workshop can be found in the area, the list of results appears blank. We are currently working on an extension that will show your nearest workshop in such cases. Searching by place name with autofill: your smartphone uses this function to make it easier to type. It suggests words or, in this case, place names before you have typed the full place name. If you enter \“Wolfsb\”, for example, it will suggest \“Wolfsburg\”. If you then select the suggestion, your smartphone will always enter a blank space at the end. As a result, the VW Connect app cannot correctly recognise the place name. When you are certain that there is no blank space at the end of the place name, please try again. I would like to mark an authorised workshop as a favourite, but cannot find the one I am looking for. You can only find authorised Volkswagen dealerships using the VW Connect app. If the workshop you are looking for is not an official Volkswagen dealership, it will not be displayed in the app. New Volkswagen dealerships may also not be listed. You must register in order to access the list which is constantly updated. If you are logged out or have no internet connection, you will be shown an offline list of all Volkswagen dealerships. However, this list is updated with each app update. My Volkswagen shows my inspection and/or oil change service as “unknown”. The service interval or oil change service details are made available for the specific vehicle via the OBD (on-board diagnosis) interface. Some vehicle models do not communicate these details, meaning that they are not shown in the app. My VW Connect app is showing me warnings, but my vehicle is ok. The reasons for this generally have to do with time. When you start your vehicle, all warnings will light up as part of a quick check and then, if everything is ok, disappear again straight away. So that the DataPlug does not incorrectly report this quick light-up as an error in the VW Connect app, it will only send active warnings if they are still lit up 60 seconds after the ignition is switched on. If you turn on your vehicle but the engine is off, for example if you are typing an address into the navigation system, the DataPlug is already active and the 60 seconds begin counting. If you start your engine only after a short time, the warnings will light up as described above and the DataPlug will send them to the VW Connect app, since it believes that they are real errors. Should this happen to you, turn off the engine again, take out the key and start the engine again. The warnings should then disappear from the VW Connect app. Please note: the direct display in the vehicle and the instructions in the vehicle wallet remain the authoritative sources. We recommend following the information and recommendations, especially in the case of severe system faults, in order to prevent more serious damage to your vehicle. It should also be noted that you may place yourself and others in danger by ignoring any faults. My vehicle is displaying a warning, but the app is not. What should I do? Warnings in the vehicle are to be given maximum priority. The direct display in the vehicle and the information given in the Owner's Manual are decisive. Our advice is to follow the information and recommendations, in particular in the event of serious system malfunctions, to prevent greater damage to your vehicle. Please note that ignoring malfunctions could put yourself and others into danger! Do I have to activate the warning lamps in the app? On some vehicle models, it is possible that you have to give your one-off consent before the warning symbols are displayed. How is the optimal functionality of my VW Connect app guaranteed? For your app to run optimally, you must be using an Android (from version 5.0) or iOS (from iOS 9.0) smartphone and have a compatible Volkswagen model produced since 2008. Making sure no other bluetooth signals are interfering with the mobile phone ensures optimal traffic between the dongle and VW Connect. Various apps that aim to increase battery life and optimise the performance of your device may cause our background service, which looks out for the dongle, to close after an extended period and prevent it from restarting. Samsung devices include software developed specially by Samsung that do this. You can try to deactivate these apps in order to guarantee an automatic connection. Why has the language in my vehicle details not changed after I changed it? 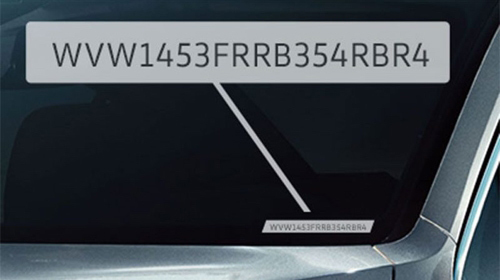 The language in the vehicle details is changed only once every 24 hours. Please wait a day and check the information again. If the language has not changed after that time, please contact customer service or a Service Advisor at your chosen dealership. Can I use my smartphone in energy saving mode with VW Connect? Routes are not plotted correctly. Addresses on routes are not displayed correctly/not displayed at all. Your last parking space is not displayed. If your routes are not recorded, this can mean that your smartphone is unable to connect to the DataPlug. In this case, please restart your smartphone and try again. My trips are not being recorded in full when I interrupt the journey. Why is that? When making trips with interruptions to the journey that involve switching the ignition off (example: you stop at the bakery), journeys might not be recorded in full, especially when using iOS. The problem specifically occurs when Volkswagen Connect is not running (“swiped away”). We are currently working on a technical solution for the problem. For the time being, you can avoid not having your journeys recorded in full by ensuring you open Volkswagen Connect again before resuming your trip after interrupting the journey, and leaving it open until the DataPlug is connected to your smartphone. Can I also send a support request without being logged in? You can also send a support request at any time without having to log in. The support request can be made using an “Email” button in the app, which you can find under the “Support” menu item. Clicking on the “Email” button will automatically open an email to vwconnect.helplinewhatever@volkswagen.de with prefilled text containing information available from the app, making it easier for the helpline to reply to your request. Can I switch from kilometres to miles, and vice-versa? At present, you are not able to choose whether your trips are shown in kilometres or miles. Your choice of country in the app determines whether your trips are shown in metric or imperial units. What can I do if the hands-free system does not work properly while Volkswagen Connect is in use and I need to make a phone call? In some cases, there may be connections problems if you want to make a phone call using the hands-free system while you are using Volkswagen Connect. For this special case, you will find hands-free mode in the settings, under “Making a phone call with the hands-free system”. Please do not activate this unless you really do experience connection problems while making a phone call. Your Volkswagen Connect app is connected to the DataPlug and you receive a call. The connection to the DataPlug is now broken. Your journey is still recorded by GPS, so long as you are connected to the hands-free system. Unfortunately, because there is no connection between the app and the DataPlug in this time, the energy-saving driving style cannot be calculated for this journey. The connection to the DataPlug is automatically restored once the call is ended. This ensures both a continuous trip record and flawless hands-free phone calls. In some cases, there may be connections problems if you want to make a phone call using the hands-free system while you are using Volkswagen Connect. For this special case, you will find hands-free mode in the settings, under “Making a phone call with the hands-free system”. Please do not activate this unless you really do experience connection problems while making a phone call. Your Volkswagen Connect app is connected to the DataPlug and you receive a call. The connection to the DataPlug is now broken. Your journey is still recorded by GPS, so long as you are connected to the hands-free system. Unfortunately, because there is no connection between the app and the DataPlug in this time, the energy-saving driving style cannot be calculated for this journey. The connection to the DataPlug is automatically restored once the call is ended. This ensures both a continuous trip record and flawless hands-free phone calls. Is it possible to share data from the app on social media? At present, you can post your environmentally friendly driving data, your points score, your latest status achievement and completed challenges directly on social media (Facebook, WhatsApp, etc.). It will be possible to share other events in the future. VW Connect is the intelligent, connected vehicle assistant. It connects you and your Volkswagen so that you are constantly informed about your vehicle, your driving style and your trips. What functions does VW Connect offer? VW Connect currently offers the following functions: Driving Style, Parking Space, My Volkswagen, Trip History, Assistance Call, Fuel Monitor, Service Partner and Challenges. You can find further information on each function in the corresponding FAQ categories. What do I need in order to use VW Connect? A smartphone with an Android (version 5.0 or higher) or iOS operating system (version 9.0 or higher). The Volkswagen Connect® app, available at the Play Store (Android) or the App Store (iOS). The Volkswagen Connect® DataPlug (available at your Volkswagen dealership and, in a number of countries, from Volkswagen Accessories – online at http://shops.volkswagen.com). Can I also connect electric and hybrid vehicles to VW Connect? You can connect electric and hybrid vehicles to VW Connect. Unlike for combustion engines, not all information can be displayed in the app at present. For example, the fuel level cannot currently be calculated for an electric vehicle. Where can I check if my smartphone is compatible with VW Connect? You can normally find the software version in the settings menu of your smartphone. Your Volkswagen dealership will be able to tell you the price for the Volkswagen Connect® DataPlug. The app and the associated functions are free of charge. Please note that your smartphone must be linked to an existing mobile phone contract including a mobile data packet in order to use the app. This may lead to additional costs. Is there a set of instructions online explaining how to use the services? Visit www.vwconnect.com for instructions and video tutorials that explain the individual functions. What connection does my VW Connect DataPlug use to transfer data? The VW Connect DataPlug and your smartphone are connected via Bluetooth. Where is VW Connect available? What is VW Connect DataPlug? The VW Connect DataPlug is an OBD connector (on-board diagnosis), also referred to as a dongle, which is plugged into the diagnosis interface (on-board diagnosis) of your Volkswagen. It collects various information during a trip and sends it to your smartphone via Bluetooth. The information provides you, for example, with details about your driving style and the status of the vehicle. Where can I buy the VW Connect DataPlug? You can buy the DataPlug at any Volkswagen dealership and, in a number of countries, from Volkswagen Accessories – online at http://shops.volkswagen.com. When does my VW Connect DataPlug send data? Your VW Connect DataPlug transmits some of the data in real time to your smartphone. The rest of the data is sent to the smartphone when the vehicle is switched off. How and where do I install my VW Connect DataPlug in my Volkswagen? Your Volkswagen Connect DataPlug must be plugged into the OBD2 interface. This is normally located on the left side of the driver’s footwell (or on the right side in right-hand drive vehicles). You can find further information on this in the installation instructions for the Volkswagen Connect app. Which vehicles is the VW Connect DataPlug compatible with? The Volkswagen Connect DataPlug is compatible with almost all new and used Volkswagen vehicles manufactured from 2008 (2010 for the Polo) with a petrol or diesel engine. This excludes the Phaeton and Touareg, which are not compatible with the DataPlug. How do I connect my VW Connect DataPlug with the app? After you have downloaded and installed the Volkswagen Connect app, you will be guided step-by-step through the installation of the DataPlug the first time you open it. It’s really quite straightforward. You sit in your Volkswagen, open the app and hold the DataPlug to read off the 8-digit PIN on the side of the DataPlug. You enter this in the input screen in the app and confirm it. Then you plug the Volkswagen Connect DataPlug into the diagnostic connection (OBD2). On most Volkswagen models, this is located in the driver's footwell. Confirm this step in your app. Then you activate Bluetooth and GPS on your smartphone. Finally, switch on the ignition on your Volkswagen. The Bluetooth connection between the smartphone and the DataPlug is set up as soon as you click on “Create connection”. Where can I find the 8-digit Bluetooth PIN to pair the VW Connect app with the DataPlug? The 8-digit PIN is on the DataPlug itself and also on a sticker on the packaging. How long does it take to connect the smartphone to the VW Connect DataPlug, and do I have to do this every time? After successfully pairing your smartphone, the Bluetooth connection will be made within 5 seconds. After interrupting the connection, e.g. due to leaving the vehicle, the connection is restored automatically. How can I check whether there is a connection between the app and the DataPlug? In the VW Connect app, a connection symbol at the top centre of the screen lets you know whether you are connected, you are trying to connect, or the app is disconnected from the DataPlug. If you open the left menu, the status will be shown in the upper-left corner of your smartphone. Does the DataPlug also transmit data when the engine is stationary but the ignition is switched on? As soon as the ignition of your vehicle is switched on, the VW Connect DataPlug sends data to your smartphone. Can I connect other devices to my vehicle via Bluetooth while using the DataPlug? You can connect other devices (e.g. hands-free system) to your vehicle while actively connected. How do I remove my DataPlug from my vehicle? Simply turn off your Volkswagen and pull the VW Connect DataPlug out from the OBD2 interface. Can I connect new/different smartphone with the VW Connect DataPlug at any point? A simultaneous active connection is possible only with one smartphone. However, it is possible to disconnect the currently active connection at any time and establish the connection again with a new/different smartphone (similar to the first time the device is started up). Please note: if there are several paired smartphones in the vehicle, it is always the smartphone closest to the VW Connect DataPlug that is paired. If we share the dongle with several people, do the users see each other's data? Each user only sees the data that was sent to their respective smartphone. Can a DataPlug from a different manufacturer also be used? The Volkswagen Connect app services work only in combination with the corresponding Volkswagen Connect DataPlug. It is theoretically possible to use DataPlugs by other manufacturers in combination with the associated services. Please note, however, that Volkswagen accepts no liability for possible damage caused by the third-party DataPlug. Where can I find the printed information for the VW Connect DataPlug? The printed information can be found in the cardboard packaging of the DataPlug. The DataPlug itself can be seen if the box is opened at the top. If you open the box at the side, you will find the printed information at the bottom of the box. Where do I plug the DataPlug into the vehicle? You can plug the DataPlug into the OBD2 interface in your vehicle. In most models, you can find this under the steering wheel on the left side (next to the pedals) of the footwell (or on the right side in right-hand drive vehicles). It is a purple-coloured component that is the same shape as the DataPlug. In the Touran, you must unhook the compartment below the steering wheel in order to access the area under the trim and the OBD2 interface. If you have any further questions, please contact Volkswagen Customer Care or your service advisor at your chosen dealership. Does my DataPlug consume electricity when I park and leave my vehicle? To avoid draining the vehicle battery, the DataPlug turns itself off as soon as the vehicle is parked and the ignition turned off. Why does the software in my Data Plug need to be updated? Software updates are necessary to guarantee reliable functioning of your Data Plug and the app. Updating the Data Plug software ensures that new functions work trouble-free in the app. Furthermore it guarantees the compatibility of your Data Plug with new vehicle models. Your Data Plug is always up to date with the software update. When does the software in my Data Plug need to be updated? If a new app version requires a software update for your Data Plug, you will receive a notification on the lock screen and via a pop-up message in the app. You can check at any time whether the software for your Data Plug is up to date via the settings in the “Data Plug” menu under “Software Update”. How does the automatic update of the Data Plug work? After updating your app, a message will appear on the lock screen and a pop-up in the app. The software in your Data Plug will be updated automatically as soon as the app connects to your vehicle after the update. Your vehicle needs to be stationary with the ignition switched on for the duration of the update process so that the software update can run successfully. It may take up to one minute to update your Data Plug software. Following the update, a message will appear on the smartphone informing you that the update was successful. You can then use the app functions as usual. Can I also control the Data Plug software updates manually? The app normally attempts to perform the software update automatically whenever it connects to your vehicle. If the automatic Data Plug update does not work, you can start the software update manually under “Settings” -> “Data Plug” -> “Software Update”. Then you can follow the instructions on your smartphone and perform the software update process manually. Following the update you will receive a message stating that your Data Plug has been updated successfully. You can then use the app functions as usual. Where can I download the VW Connect app for my smartphone? Do I need a special type of mobile telephone to use the VW Connect services? A smartphone with an Android (5.0 or higher) or iOS operating system (9.0 or higher). The VW Connect app, available from the Play Store (Android) or the app Store (iOS). The VW Connect DataPlug (available at your Volkswagen dealership or from Volkswagen Accessories online on http://shops.volkswagen.com). How do I connect the VW Connect app to the VW Connect DataPlug? Is it possible to manage several vehicles in my VW Connect app? You can manage several Volkswagen vehicles in the VW Connect app. These can be distinguished in the menu by way of different profiles. Can other users see my information? Who do I get in touch with if the services or the VW Connect app are not working? If you have questions relating to VW Connect, please call us on the Volkswagen customer hotline or contact your authorised Volkswagen workshop. The Bluetooth connection on your smartphone must first be active. Please also check whether the VW Connect DataPlug is currently connected to another smartphone. Does the app update itself or do I have to download software updates regularly? You will be prompted to download regular software updates from the Google Play Store. What does the “My Volkswagen” function include? "My Volkswagen" shows you information about your vehicle such as the mileage. It also shows current warnings and indicator lamps and provides corresponding explanations and recommended actions. What should I do if the VW Connect app shows me a warning but my vehicle does not (or vice versa)? The warnings and indicator lamps in the vehicle always take priority. If the displays are contradictory, please check the connection between the VW Connect DataPlug and your smartphone, or visit a Volkswagen dealership. What can I change under the “Tyres” option? Under the “Tyres” option, you can select your vehicle’s tyres. You can then choose the type of tyre. Finally, you can call up the tyres in the app, enter information on the manufacturer, mileage and date of manufacture, and arrange an appointment to change tyres. Do I have to follow the displayed action requests? These are only recommendations and not required. Please refer to the information in the vehicle wallet. The direct display in the vehicle and the instructions in the vehicle wallet remain the authoritative sources. However, we recommend following the information and recommendations, especially in the case of severe system faults, in order to prevent more serious damage to your vehicle. It should also be noted that you may place yourself and others in danger by ignoring any faults. Does my vehicle constantly send current information? The information is current as long as the ignition is on and you are in range of the Bluetooth connection. The information content remains at the last stored value as soon as the ignition is switched off or if there is no longer a connection to your smartphone. For example, if you do not start your vehicle for five days, the data will be five days old. It should also be noted that any damage or malfunctions to your vehicle that occur after the vehicle is switched off will not be recorded. Unnoticed damage such as on the underbody may mean, for example, that engine oil may have leaked out after the engine was switched off, although the "My Volkswagen" function displays an accurate engine oil level. Can I download or print out current information? What does the “Trips” function include? The "Trip History" function records your trips. You can then view them using the VW Connect app. You can view various information such as driving style and the start and destination addresses. Can I name the individual trips? You can add comments to the individual trips and assign the trip to a category (“Private”, “Trip to work” or “Business trip”). What is the difference between the categories “Business trip” and “Trip to work”? The “Trip to work” category refers to your work commute (there and back). The “Business trip” category refers to trips during your working hours, such as those to an external appointments. How far back does my history go? The data is stored on your smartphone from the first trip. Can I download my trip data? You can export a PDF file of the trip history with all available data such as reason for trip, comments and naturally the trip data. You can use this data as a driver’s logbook. Note: tax offices may have different requirements for a logbook. Therefore, please first ask your tax office if this data and format are accepted. How can I export my routes? In the routes overview menu, you can click a button in the header area which links to the “Export and Delete” screen. In this screen you can define the period and category for which the export is to be performed. Initiate the export with a single click on “Export routes”. How can I delete my routes? In the routes overview menu, you can click a button in the header area which links to the “Export and Delete” screen. In this screen you can define the period in which the routes are to be deleted. Initiate the process with a single click on “Delete routes”. Why is my route displayed on the map not plotted exactly on the road? We have developed a snap-to-road tool which corrects any deviation from the GPS and always plots routes on the road. This function is available to all users who have registered and successfully logged in. If your route is not correctly plotted despite having logged in successfully, please contact customer service or a Service Advisor at your chosen dealership. What do the blue line and the red markings on my trips mean? The blue line indicates the route you have covered. Red sections along the route indicate sections where you accelerated quickly or braked heavily. The red sections therefore indicate route sections where you can optimise your driving style. When is my trip ended? This depends on the settings you make for the automatic trip end. If 90 minutes are set, the trip will be ended 90 minutes after you park your vehicle. If 0 minutes are set, the trip will be ended immediately after you park. Can I end my current trip at any time? You can end your current trip at any time with the “End trip” button. In particular, if you set the automatic trip end to 90 minutes for example, you can end the trip immediately after parking. Can I also add routes manually? You can manually add routes to the route overview at any time. To do this, simply click “Add route” in the “Routes” menu and enter the data for your route. You can retrospectively edit manually entered routes at any time. Do I receive all route data as normal when a route is manually added? As manually entered routes are not recorded by your DataPlug, no values are available for efficient driving. For this reason you do not receive any points for the route. Furthermore, the service life, average speed and top speed for a manually entered route are not displayed, as the data are not available. What does the “Driving Style” function include? The “Driving Style” function collects driving data such as engine RPM, acceleration, braking, speed and coolant temperature, and calculates the efficiency of your driving style, shown in percent. Where can I view my driving data? You can view your driving data by selecting a trip under the “Trips” menu and then clicking on the percentage figure. The various parameters are shown here in a pie chart. Can I reset or delete my driving data? You can reset or delete your driving data in the trip management. Is it possible to have several profiles on one device if the vehicle is used by several people, for example? Unfortunately, this is not technically possible. Only the driving profile that is connected with the DataPlug is shown on the device. Can I download my driving data or publish it in social networks? You can export your driving data as a PDF and post it on social networks/platforms. It is not currently possible to post your journeys directly on social media. However, you can post your points score, completed challenges, latest status achievement (silver, gold, etc.) and your percentage score for environmentally friendly driving. Where can I export my driving data? Under the menu option “Settings” in trip management, you can export the data by selecting “Delete & export”. How are my points calculated during gentle driving? Your points for gentle driving result from the number of kilometres driven and the percentage of gentle driving. The more kilometres you drive with a gentle driving style of 90%, for example, the more points you get for the trip. The better your percentage with the same number of kilometres, the more points you get for your trip. What does the “My Challenges” function include? In the app, you can perform challenges, which are divided into categories such as “Distance”, “Discovery”, “Skill”, etc. Each category contains various challenges. Completing challenges not only contributes towards an environmentally friendly driving style, but also earns you points that go towards your status. Completing one challenge unlocks the next challenge. This is true for all categories except “Discovery”: all challenges in this category are already activated for you. How do I activate a challenge? All the challenges in the “Discovery” category are already unlocked for your country. For the other categories, simply click on an unlocked challenge before you set off and activate it by clicking. Is it possible to pause an ongoing challenge and start another one? You can open the activated challenge and click Pause. How many challenges can I activate at the same time? You can activate a maximum of three challenges at a time. Furthermore, all the challenges in the “Discovery” category are automatically active in the background for you. Is it possible to unlock a challenge and start it? To unlock challenges, you can either complete the unlocked challenges first or use the points you have collected to unlock and activate a challenge of your choice. How do I unlock challenges in a different country? The more points you have, the higher your status. Use your points to unlock challenges or start challenges abroad! What features does the “Service and appointments” function have? The “Service and appointsments” function allows you to view all Volkswagen dealerships (the one nearest to you will automatically be displayed), search for a Volkswagen dealership, view the contact details, including the telephone number, and it will navigate you there. Furthermore, you can manually send appointment requests to your dealership and manage these in the menu. Can I also find independent workshops? You can only find official Volkswagen workshops using the VW Connect app. How does VW Connect know where I am? VW Connect uses the GPS data of your smartphone and can therefore navigate you to your nearest or favourite authorised Volkswagen workshop. Can I also see the opening hours of each Volkswagen dealership? The opening hours of Volkswagen dealerships cannot currently be viewed. When I make a phone call, do I use my phone as normal or do I use the app for this, using up my data allowance? You make a normal phone call via a phone connection. Your data allowance will not be affected. How can I change my authorised workshop for a specific vehicle? You can select your own Service Partner for each of your vehicle profiles. Access via “Settings” -> “Vehicle profile” ->”Vehicle administration” and select the vehicle for which you would like to change the Service Partner. Finally, set a Service Partner for your selected vehicle via the “Service Partner” menu item. Please note that you can only change your vehicle profile if no vehicle is linked to the DataPlug. What happens to my appointment requests if I change my preferred service partner? Your appointment requests remain with your old dealership. New requests are sent to your new service partner. Can I use the app to cancel an appointment with my service partner? Unfortunately, this function is not yet supported. To cancel an appointment, you will have to contact your service partner directly. How do I receive a reply to my appointment request from my preferred service partner? Your service partner will contact you, either by phone or by e-mail, to agree an appointment. Once you have agreed an appointment, you can enter it in the app. Are appointments that I manage transferred to my appointment history? As soon as the scheduled date has expired, the appointment is transferred to the history. This ensures that you always have an overview of your workshop appointments. Is there a limit to the number of characters in the free text field? The number of characters is limited to 1,000. Can I delete the appointments I have entered? You can delete all appointments at any time. This does not constitute cancellation of the appointments. To cancel an appointment, please contact your service partner. Can I transfer my appointments to the calendar in my mobile device? To transfer your appointments to the calendar in your mobile device after you have entered the appointment, we need your confirmation that Volkswagen Connect is authorized to access the calendar in your smartphone. Subsequent changes to your appointment will not automatically be transferred to the calendar in your mobile device. What scope do service leads cover? Service leads are appointment enquiries at your preferred dealership that can be triggered manually or automatically via your app. If your app displays a warning message, for example, you can send an appointment enquiry directly. Your Volkswagen dealership will contact you and suggest appointment times. Which functions in my app can I use to generate service leads? If yellow warning messages are displayed in the “VW Connect” menu in your app (arrange service appointment) or if you need to contact a dealer in the tyres or battery voltage section (arrange tyre or battery appointment). Note: if there are red warning messages, the number of our breakdown service will be shown to you immediately in the app. A service lead cannot be created here. Can I choose whether I want to send automatic or manual enquiries? In the settings, you can switch between manual and automatic at any time. Enquiries about inspection services and oil services can be sent automatically. Yellow warning messages can only be requested from you manually. Can I send an enquiry regardless of the service interval or a tyre appointment? All appointment enquiries are currently event-related. A service lead can only be generated if a warning message has been issued or a service event has occurred. What data is sent from me to the dealership? The following data is provided to the dealership: vehicle identification number, description, mileage, brand/model/model year, engine code, gearbox code, inspection service interval, oil service interval, form of address, title, first name/surname, telephone and email address. How can I tell that an automatic lead has been sent? A message is displayed on your telephone as soon as an automatic appointment enquiry has been generated. What does the “Parking Space” function include? The “Parking Space” function allows you to save, display and share the location where you last parked your vehicle. This displays your parking time so that you can always see when your parking time will expire, for example, or share your parking space via WhatsApp or text message. You can also be navigated to your parking space at any time. Can I be navigated to my last parking space? You can open navigation to your last parking space under the “Parking Space” menu by pressing the “Route” button. Can anyone else also see my parking location? As long as you do not post or send the parking space using the “Share” function, the location will only be viewable to you as the app user. How accurate is the displayed location (in metres)? Based on the GPS technology used, the position is usually correct to within approximately 5 to 10 metres. However, this data may be affected by a number of different factors. As a result, the system can never guarantee that the position is precise. In underground car parks, for example, the GPS signal is weakened by the thickness of the walls. What does the “Fuel Monitor” function include? The “Fuel Monitor” function recognises when you have to refuel, and allows you to record and view factors such as the price and petrol station. How does the VW Connect app recognise this, particularly if the vehicle is switched off for refuelling? VW Connect recognises a difference in the level of fuel in the tank and measures the refuelling amount in litres. As soon as your Volkswagen is started, the VW Connect DataPlug sends the data regarding the level of fuel in your vehicle to the app. You will then be asked if you want to record the event. Can I enter the cost of refuelling in order to keep an eye on fuel costs? You can enter data such as the fuel price, mileage driven and refuelling amount in the VW Connect app and thus keep an overview of costs. How many instances of refuelling are displayed? All instances of refuelling that you have carried out and saved during the use of the DataPlug and the app are also shown in the history. Can I enter a location, e.g. filling station xy? You can enter the name of the filling station. The VW Connect app normally enters the address automatically. What does the “Assistance Call” function include? For breakdown service and customer support, you can enter two phone numbers in each case that will be dialled directly. Does my DataPlug automatically detect an accident and send a help request to the appropriate authorities? This function is currently not supported, but is being considered for future implementation. What is the Volkswagen ID? The Volkswagen ID is your very own key to the digital world of Volkswagen. It enables you to log in easily to Volkswagen services such as Volkswagen Connect, WePark and many more. 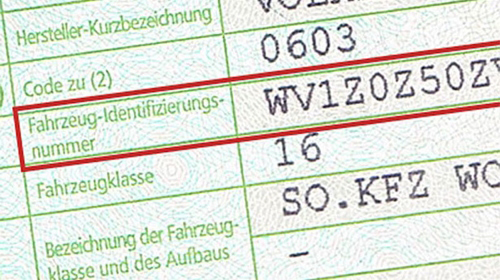 The Volkswagen ID contains your personal data (telephone numbers, addresses etc.) and your account settings as well as, for example, apps linked to your Volkswagen ID. Where can I manage my Volkswagen ID? You can change your access data (email address and password) in the Volkswagen ID portal under https://vwid.vwgroup.io/landing-page or in the profile management area of the application. How can I change my access data (email address and password)? If you have forgotten your password, you can click on “forgotten password” either in the Volkswagen ID portal or on the login page of the application. Now you can enter your email address. In the email you receive, click on the link it contains. You are now redirected to a page on which you can reset your password. Don’t forget – your password is valid for all the services connected to your Volkswagen ID. That means that your password will change for all applications when you assign a new one. My Volkswagen ID has not been activated. What can I do? If your access has not yet been activated, you may not have confirmed the activation link sent to you by email. If the link has already expired, your details will have been deleted for security reasons and we must ask you to register again. If you have not received the email, please check whether the email is in your junk mail folder. If you have not received an email, please register again. My access has been blocked. What can I do? If you enter your password incorrectly several times in a row, access to your Volkswagen ID user account will be automatically blocked for a short time for security reasons. The more frequently you type in the wrong password, the longer your user account is blocked for. After the account is unblocked, you can log in again with your password. Where can delete my Volkswagen ID? You can delete your Volkswagen ID user account at any time. You will find the option to delete your data and your entire user account in the profile portal. Please note, however, that you will be deleted from all services linked to your Volkswagen ID after deleting your account. Can I also log out of an individual service? If you no longer wish to use a particular service connected with the Volkswagen ID and to log out, you can do this at any time via the Volkswagen ID portal under https://vwid.vwgroup.io/landing-page. What happens to my data? Is it passed on to third parties? The application/portal is not displayed correctly on my device. Which browsers are supported? Dfreeeze gives you the option to regulate and programme the auxiliary heater in your Volkswagen via Volkswagen Connect. What do I need to be able to regulate the auxiliary heater? The basic requirement is that your Volkswagen has an auxiliary heater installed. You will also need a dfreeze module, which you can order and have installed at your Volkswagen service partner, where registration with dfreeze is also possible. How much does dfreeze cost? We offer you the option of regulating the auxiliary heater via Volkswagen Connect as a free service. Ask your local Volkswagen service partner for the price of retrofitting an auxiliary heater and for ordering and installing a dfreeze module. Licensing fees may also apply for dfreeze. What can I do with dfreeze? You can switch on your auxiliary heater immediately via Volkswagen Connect or programme it up to 24 hours in advance – regardless of how far you are from the vehicle at the time! How do I register with dfreeze? You can register easily online any time on the dfreeze website: https://shop.digades.de/dfreeeze.html. Or alternatively, you can also register via the Volkswagen Connect app under “Auxiliary heater” under the menu item “My Volkswagen”. From there, you will be conveniently transferred to the dfreeze website. Can I register for dfreeze via Volkswagen Connect? Volkswagen Connect will transfer you via a webview to the dfreeze registration page. From there you will be guided through the registration process. If you have problems, feel free to contact our helpline. If I am already a dfreeze customer – do I need to re-register? No. You can simply log on. You data will then just be synchronised with the dfreeze backend. Volkswagen does not have access to your dfreeze data. I would rather register for dfreeze on my PC. How can I do this? Go to the dfreeeze website at the following link: https://shop.digades.de/dfreeeze.html then go to the login button at the top right. From there you can register. Once you have registered and added your vehicle, you can conveniently log on via Volkswagen Connect under “Auxiliary heater” found under the “My Volkswagen” function and regulate your auxiliary heater remotely. How do I add my vehicle? If you already have a dfreeze account, you can log on under the “Auxiliary heater” function found under “My Volkswagen” and then add an additional vehicle under vehicle selection. You will then be transferred to the dfreeze website where you can add an additional vehicle. Can I extend my dfreeze licence via Volkswagen Connect? No. This can only be done directly via the dfreeze website: https://shop.digades.de/dfreeeze.html tun. Volkswagen Connect merely offers you the controls. Can I change the temperature via the app? No, it is not possible to regulate the temperature that has been set in the vehicle. With the dfreeze system, the auxiliary heater in your Volkswagen will provide heat until the temperature set in the vehicle has been reached. My auxiliary heater does not work. What should I do? First, check whether you can activate the auxiliary heater the conventional way via remote control. If yes, then contact our helpline. If the auxiliary heater does not work using the remote control either, please contact your Volkswagen service partner. Can I regulate the dfreeze in more than one Volkswagen via Volkswagen Connect? Yes. You can add as many vehicles to your dfreeze account as you wish, which can then be regulated via Volkswagen Connect – providing the auxiliary heater and dfreeze module have been installed in those vehicles. I’ve forgotten my registration data. What can I do? Go to the dfreeeze website at the following link: https://shop.digades.de/dfreeeze.html and go to the login button at the top right. There you can reset your password. Or alternatively, you can contact our helpline, which will provide support. What does the “statistics” function include? This function offers you the option of viewing various statistics within your app. You can, for example, view detailed statistics on challenges, efficient driving, fuel costs etc. Can I export my statistics? This function is not currently supported. How are day and night defined? Day runs from 5:01 am until 9:00 pm and night runs from 9:01 pm until 5:00 am. For which users are data backed up online? The data backup is only activated for registered users. Are the data automatically backed up? Yes, the data are automatically updated on a regular basis. Larger data, however, are only backed up in WLAN, in order to minimise mobile data usage. Can I back up my data manually? Yes, data backup can be manually activated in the settings under “Services”. Simply install VW Connect onto your new device and log in with your username and password. Your backed up data will then be automatically transferred. Can I switch between the different operating systems and take my data with me? Yes, the backed up data are platform–independent and can brought onto another system. Are the data deleted when they are backed up? No, the data on the smartphone will not be deleted after they have been backed up. They will simply also be backed up online. Can I transfer my data to another smartphone? When you install the app on another smartphone and log in with your user account, your stored data will be transferred to that smartphone. You can also switch between different operating systems. Is my DataPlug connection automatically restored when I change my smartphone? Unfortunately, the Bluetooth connection between the smartphone and DataPlug cannot be transferred to another smartphone. If you change your smartphone, you must connect your Volkswagen Connect app to your DataPlug again. Will my data be deleted after being stored on my smartphone? No: as long as you are logged in, your local data are retained. Can I also delete my data backup? Yes, you can delete your stored data at any time. You can find the option for deleting your data under Settings in the menu item “Data backup” under Further Options. The local data on your smartphone are retained as long as you are logged in. Find a Volkswagen partner nearby you. Learn more about the many features of Volkswagen Connect®. We look forward to receiving your questions, suggestions and reviews. Your provider does not support the telephone number? The costs are according to your provider. Calls from foreign countries may be more expensive. 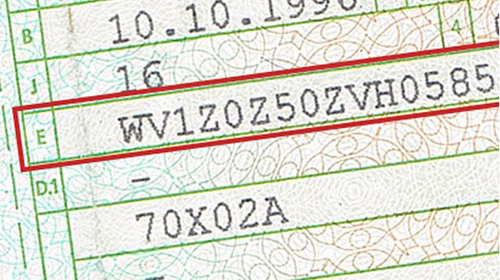 The vehicle identification number (VIN) is a unique 17-digit code that can be used to identify your vehicle. You can locate your VIN in the vehicle log book, vehicle registration certificate, or in the lower area of your windscreen. Please click on the link to activate the videos. Note: After activation, data are transferred to the respective provider.